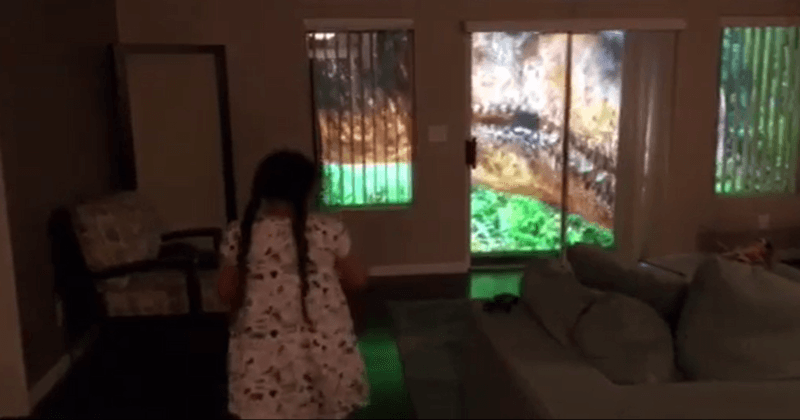 Dad recreates Jurassic Park and dinosaurs in his backyard for his daughter! 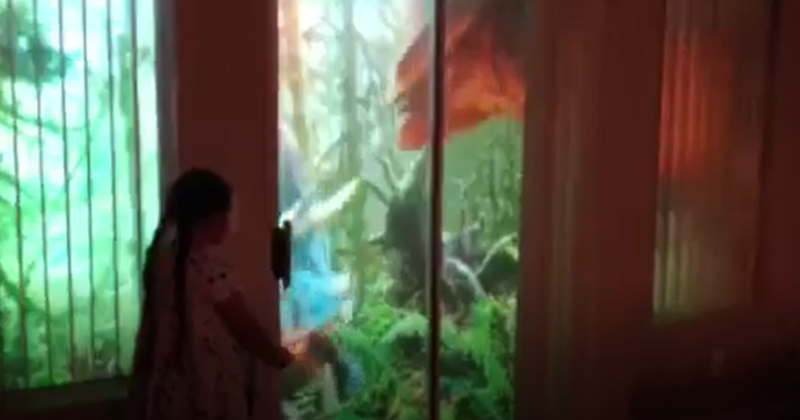 Coram used a screen and a projector to bring those dinosaurs back to life only for her daughter. 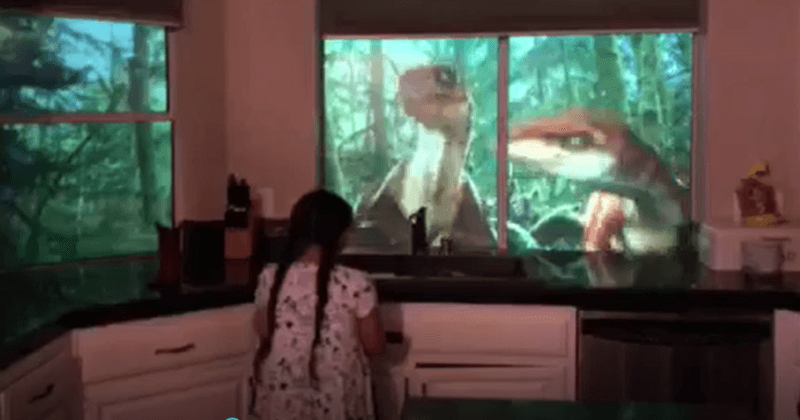 He has used his skills to make her daughter play with dinosaurs in their backyard. There is no definition or explanation for the adorable relationship between a father and his daughter. It is a relationship that cannot be described in words. 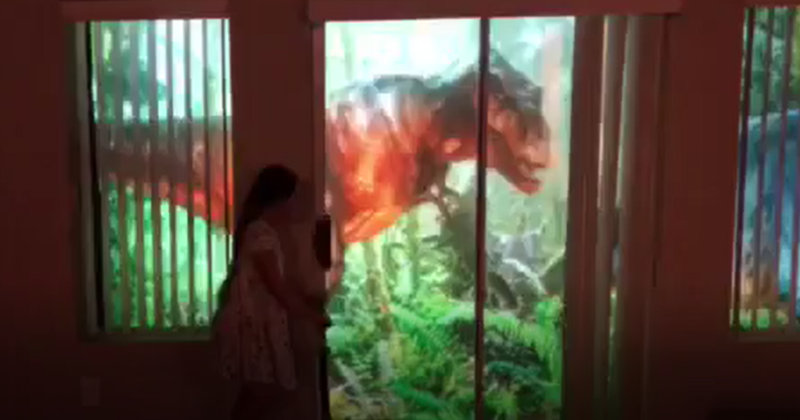 Recently, Lyle Coram, 48, a devoted father adorably created the dinosaurs and the entire Jurrasic Park feels at home for his daughter. As a kid, fairytales, pixies, and dinosaurs have always felt real for many of us, but for Shelby Coram, seven, her father did make everything real for her. 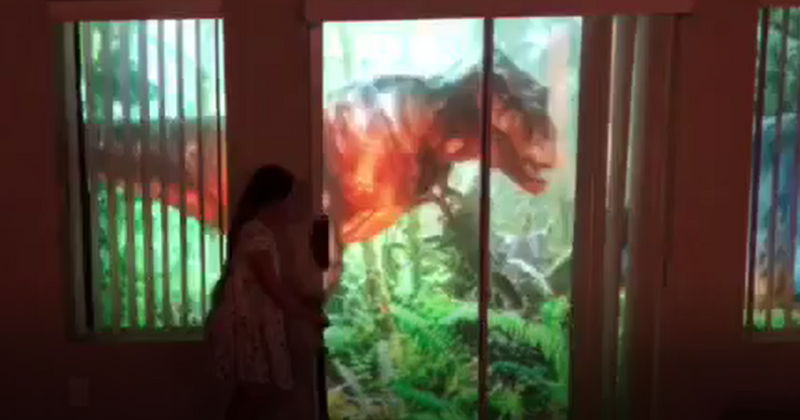 Coram used a screen and a projector to bring those dinosaurs back to life only for her daughter. He has used his skills to make her daughter play, fetch with the dinosaurs in their own backyard. He created a Jurassic Park theme with lush forest and greenery that made it look real. In the video, little Coram can be seen jumping in excitement and surprise the moment the trio velociraptors run past. There were a baby brachiosaurus and triceratops. The best part of the entire moment does not just end by looking at these dinosaurs jumping outside the backyard, but it was when Shelby was able to interact with them. Shelby was able to wave a giant ball in the air and could play with Brachiosaurus. There were other dinosaurs too in the theme set by Lyle. He loves making every moment special for his daughter. 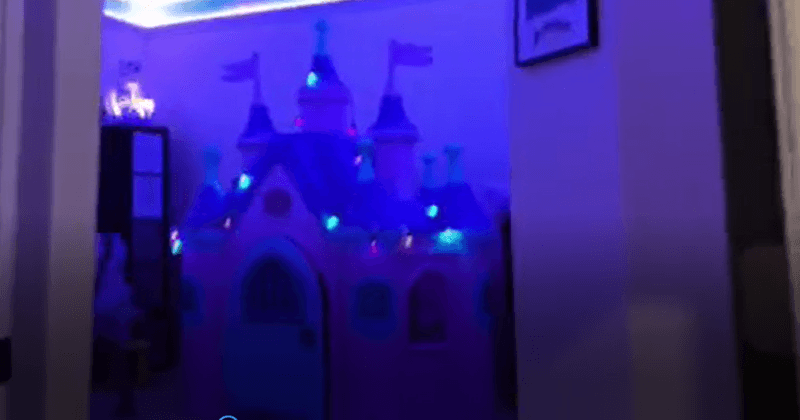 It is something that Shelby is used to, as even before the dinosaur theme, he had renovated her room giving it a fairytale theme, with a castle, stars, and fireworks. The artistic side of Lyle comes naturally as he is a stagehand at IATSE LOCAL 720. Therefore, he is looking forward to expanding Shelby's room and the Disney theme that he already executed to make the room magical. Lyle is a proud father and Shelby is a proud daughter. As Daily Mail reports, Lyle said, "She really loves the room. She tells all her friends that I built it for her and that ‘I can do anything.’ That’s the best part of doing this."